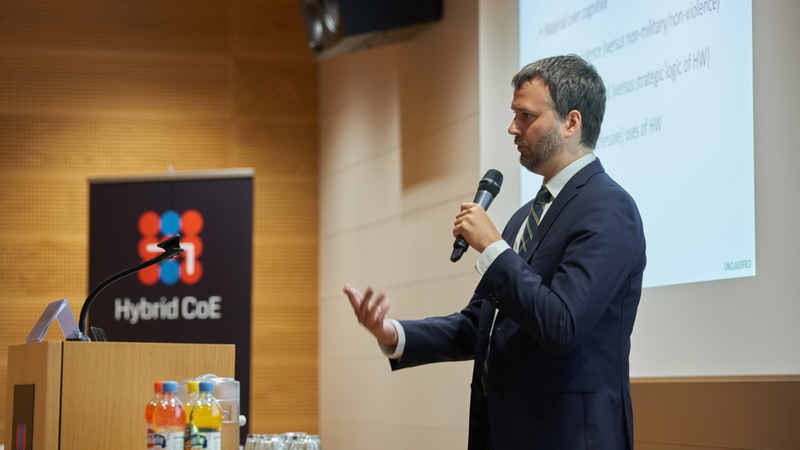 COUNTERING HYBRID WARFARE: Dr. Patrick Cullen, senior research fellow at NUPI, gives a talk at the opening of the Hybrid Centre of Excellence for countering hybrid threats in Helsinki 6 September. Current developments have again brought hybrid warfare into fashion, most notably in the wake of the Russian military intervention in Ukraine. To a large extent, the term refers to a blend of conventional warfare and non-conventional warfare containing several non-military aspects. In order to address these challenges, taking a coherent approach and cooperating closely at the national and international level are essential. The new European Centre of Excellence for Countering Hybrid Threats (HybridCoE), located in Finland, is part of this work. Wednesday 6 September, Dr. Patrick Cullen was one of the speakers on the official opening of the HybridCoE. Cullen and colleagues at NUPI have contributed to the Multinational Capacity Development Campaign (MCDC), where Norway participates together with 22 other nations on multinational organization in military concept development. 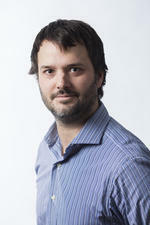 On Wednesday, Cullen presented key findings from working in MCDC. He and colleagues Karsten Friis, Erik Reichborn-Kjennerud and Njord Wegge have investigated the nature of hybrid warfare; what it is that constitutes something new and what is well known, and how to distinguish it from other, similar concepts such as ‘non-linear warfare’ and ‘ambiguous warfare’. 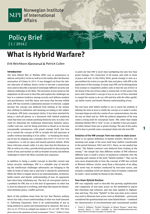 Policy brief: What is hybrid warfare? ‘The term hybrid warfare was coined nearly a decade ago in US military writings to describe a “new” type of battlefield adversary confronting American forces that did not fit neatly into the traditional Western analytical categories of either conventional or unconventional threat. Instead, these new hybrid threats blurred the two, combining mixtures of high-tech and low-tech weaponry, new strategy and tactics, and a wide and confusing array of state and non-state combatants with overlapping political, criminal, informational, economic and terroristic methods and agendas’, explains Cullen.